I've been thinking more and more of the baby's corner in our room and what I want to do with that space. I've thought about painting part of a wall or adding decorative shelves but I think I want to keep it as simple as possible. I don't want to hang a poster so I've been thinking about a portion of wallpaper of fabric hanging behind the crib. I recently found this Swedish company Photowall that specializes in wall murals and canvas prints, very much the look I was wanting! I like the flexibility of making your customizing your own print or using one designed by a number of their artists, including Elizabeth Dunker from Fine Little Day! Personally the idea of having one large printed area rather than a bunch of small details appeals to me since we want to keep the baby's corner as simple as possible and have it still fit in with the rest if our bedroom. For those parents sharing a space with their little one, this could be a great option. That's a great idea and at Fine Little Day you can see so many wonderful options too. 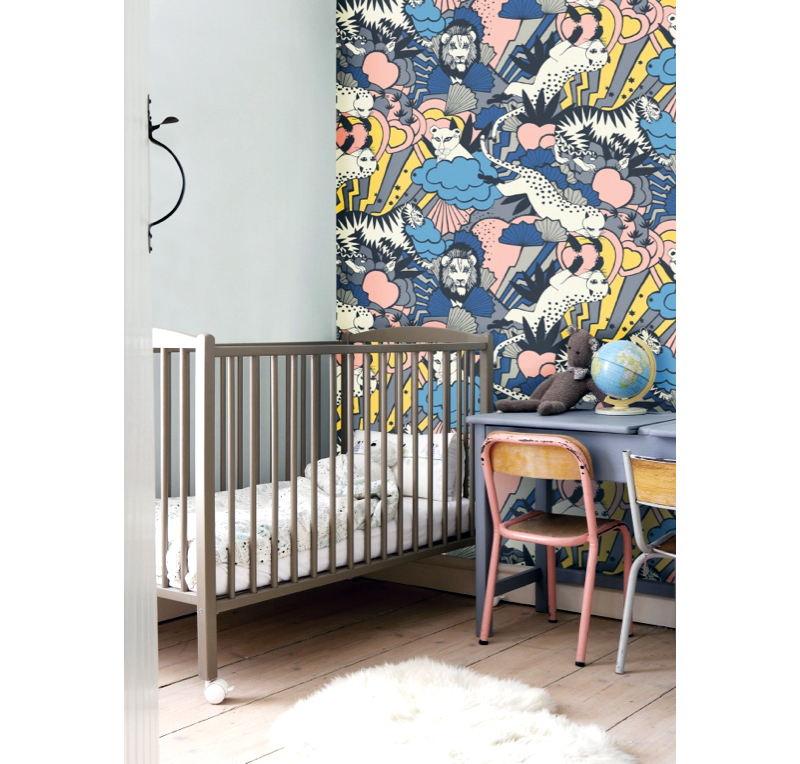 This wallpaper is amazing, the colors are perfectly calm yet cheerful for a baby's corner. I still share a bedroom with my two-and-a-half year old but we rent. So I just hang all of his drawings and paintings on the wall behind his bed to create a big collage. When I buy I will definitely put up a wallpaper in his room!